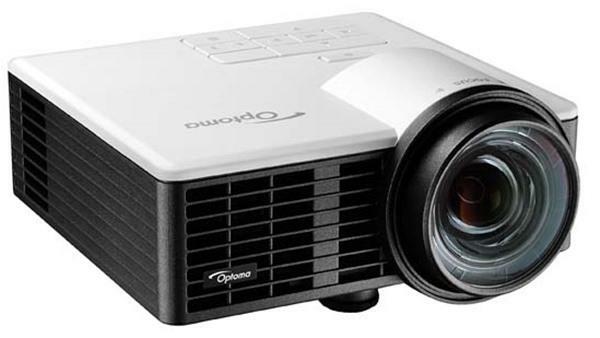 Optoma's newest home theater projector is what many have spent years waiting for - an affordable, high-quality 1080p projector with a solid-state light source. For a retail price of $3,999, the Optoma HD91 combines the features and functionality of Optoma's top of the line home theater models with an all-LED light source anticipated to have a life span of 20,000 hours. 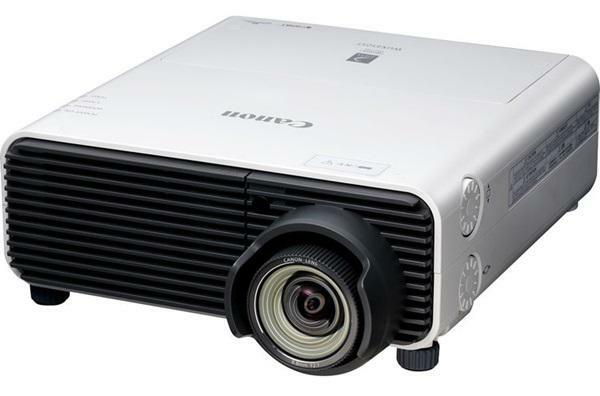 The HD91 does not cut corners, and the projector includes all of the modern conveniences (like a long zoom lens, lens shift, frame interpolation, detail enhancement, and full HD 3D compatibility) that home theater enthusiasts have come to expect from this class of projector. Editor's note: this article has been updated. Information relating to the cost of the projector has been corrected, and our evaluation has been edited to incorporate this information. We set up the Optoma HD91 on a rear shelf in a light-controlled room and connected it to our Oppo BDP-103 reference Blu-ray player over HDMI before turning the power on. The image jumps to life on the screen mere moments after you press the power button. One of the advantages of LED projectors is that they require no warm-up period, and instead start up at their full brightness. The first thing we noticed, and one of the important limitations of the HD91, is the projector's relatively low image brightness compared to competing home theater projectors. Our test sample measured 517 lumens in Cinema mode at full power, which is low by today's standards. However, if care is taken in positioning and mounting the projector, that is still enough power for a 120" diagonal 1.3 gain screen, so the HD91 is still capable of large-scale projection. The image without calibration can look odd, especially if one is accustomed to the appearance of lamp-based projectors. Color is intense, with very high saturation and brightness, while black level is only average. However, these flaws were easy enough to remove thanks to the projector's extensive calibration controls, and the resulting image is smooth, life-like, and accurate. Shadow detail is particularly impressive once the gamma curve has been fine-tuned. The HD91 has a number of image enhancement features, most of which are located under "PureEngine" in the Advanced image menu. UltraDetail increases detail perception (we left this set to "HD," which is the middle setting) while PureMotion is a frame interpolation system (we left this either on Low or off, depending on the type of content being used). There's also an iris-like system called DynamicBlack, though rather than a physical iris, the system uses changes in LED power to adjust image brightness. The end result of all of our tweaking was an image that had vibrant color and excellent depth. Foreground objects seem ready to leap off of the screen thanks to the projector's high contrast in most scenes. The projector's black level is incrementally higher than some other home theater projectors that have aggressive automatic irises, but this only becomes apparent in scenes where black is a major component of the image (such as dark scenes in movies or scrolling credits) and was not apparent in mid-toned or bright scenes. When it comes to 3D, image quality was quite good. The HD91 uses either radio-frequency or DLP Link synchronization at a refresh rate of 144 Hz, which means little crosstalk or ghosting. However, given the light output limitations of the projector, we would not push screen size over 100" diagonal for 3D viewing. If I want to turn the Dynamic Black on what Dynamic Black you guys suggest? DB1, 2, or3?? Of course I will calibrate with DB on. Bill, thanks for the detailed review. One major benefit of LED projection is that brightness remains relatively unchanged over the long haul. So, once you set up and calibrate the projector, that's it. With lamp based projectors, how much dimmer is the bulb after 100 hours, 500 hours or 1000 hours? Brightness of a new lamp tends to drop significantly and then stabilize over time. So, how long will it take for a lamp based projector to be less bright than the LED projector? Also, as the lamp fades, colors and black detail will change, requiring recalibration. It would be interesting to compare measurements after long term testing - after 100, 500 and 1000 hours. It would be a great selling point for LED-based projectors if they maintained their maximum brightness over the full life of the light source, but I have heard some reports from other LED projectors that they actually do lose brightness over time. So it will be interesting to see the long-term reports come in. Hi everyone. Thanks for reading. crabarts231 - it really depends on the content you're watching and the room you're watching it in. The higher levels of DynamicBlack will dim brightness more than the lower levels, so unless your room is dark and non-reflective enough to eliminate ambient light, the downsides may outweigh the benefits. Robert - obviously this depends on the projector in question. I have yet to see a trustworthy source for long-term lamp dimming that is generalizable across all projectors, but it is clear that many projector lamps lose a chunk of brightness in their first 100 hours and then gradually fade from that point. With our specific comparison (Epson 5030UB versus Optoma HD91), I don't think the cross-over point exists. The problem with long-term testing (and the reason why we haven't done something like this already) is that you need to maintain a normal pattern of use for your data to be meaningful. In other words, we can't just burn the lamp for 24 hours a day, 7 days a week, and expect to get results that are applicable to typical home use. Instead, we'd have to turn the projector on for smaller periods of time (say, 2 to 4 hours at a stretch), then turn it off and allow it to cool down before starting it up again. This takes a lot more time than just running the projector all day. If we used a "six hours on, six hours off" schedule on a projector with a lamp life of 4,000 hours, it would take just under a year to exhaust the lamp's life span. Still, it is a topic that we are interested in, and we will likely write more about the differences between mercury lamps and alternative light sources in the future. Edgar_in_Indy - To our knowledge, the projectors that suffer the largest light loss are hybrids -- those that use a combination of LED and laser sources. Pure LED projectors have less brightness but also lose less light output over their lives. Some estimates (unconfirmed) put total brightness loss of LEDs at 30% over the entire specified lifespan, and that loss is heavily weighted towards the end. Funny that for a 1000 lumen PJ Optoma actually gives in their spec sheet a maximum projection size of 300-inches. Do the law of optics and physics support this size screen for any 1000 ANSI lumen projector, I wonder? "... projectors that suffer the largest light loss are hybrids -- those that use a combination of LED and laser sources. Pure LED projectors have less brightness but also lose less light output over their lives." Trying to figure out how this goes. Okay, so a pure LED projector used R+G+B LEDs, whereas a hybrid projector uses a RED LED, a BLUE LED, and for the GREEN color, it uses a blue laser with a yellow phosphor wheel. If these LED+laser combination "hybrid" projectors lose more of their brightness than the pure LED chip projectors do, as seems to be suggested here, than the lightness loss must be related to the laser part in the hybrid, specifically the tiny blue laser gun that is used to generate the greens via the spinning phosphor wheel. I was not aware that laser sources dim over time at all, although I know that LEDs do. Stunko - a projector emitting exactly 1000 lumens, projecting onto a 300" diagonal screen at 1.0 gain, would measure 3.8 foot-Lamberts. However, using a screen of equal size with a gain of 4.5 would give you 17 fL. So yes, it is possible. Frank - I may have overstated things a little. Some hybrid models we've tested experienced significant loss of light output over the first few hundred hours of runtime, specifically in the green channel. I'm not an engineer, but I suspect it was related to the phosphor. Then again, we tested this phenomenon years ago when the first Casio hybrid projectors were released. We did not see that same dramatic degradation in the Panasonic hybrid model we reviewed. So far, we have not seen evidence of similar rapid degradation in projectors that are solely LED-based, but we have also only reviewed a small handful of pure LED projectors. This is something we'll be testing further as the market matures. It's possible that the loss of green we observed in the early Casio hybrids was a model-specific problem that will not reappear in other hybrid models, but I was commenting based on my own experiences. I realize now that I phrased my comment too broadly, and for that I apologize. Great review, btw, I tend to agree, and do believe from my conversations with them and others, that their green problem has to a large degree tied to the design of their first (and second?) gen systems. Phase 2 - Turn Dynamic Black ON to the setting you plan to use and as you fine tune grayscale steps and even colors, you will need to make your adjustments so that you do not change the luminance of the step you are adjusting. For example. Let's make this easy and say with DB OFF you calibrated the grayscale and you measured 10% White at 0.1 fL and you set your gamma to 2.25 (with variations in gamma that are practically inevitable, you managed to maintain your gamma between 2.2 and 2.3 for 10%-100% white). Now remember, this is with DB OFF. OK, so now you have a good grayscale and good gamma. Now, you turn DB ON and pick your setting/level (1-3). For whatever reason, when you measure some steps, especially darker steps, there are color shifts you need to get rid of. So now you measure 10% white as 0.05 fL due to the action of DB. In order NOT to screw up that gamma you set when DB was OFF (remember, your result where each grayscale step was between 2.2 and 2.3 gamma), you now need to remove some green from 10% white but when you do that, 10% white is going to get quite a lot dimmer... you don't want to let that happen. You need to make your 10% adjustments but you have to keep your luminance at 0.05 fL. So you can't just take out some green. If you were to determine that -4 on green would "fix" 10% white... your luminance level might drop to 0.04 or even 0.03... you can't let that happen. To keep that from happening, you might have to make your adjustments something like -1 for green and +3 for red and +3 for blue. That way you are removing green but also adding red and blue to keep that step from getting dimmer (these numbers are samples only, each projector is going to respond differently). If you maintain luminance of each step after you have calibrated with DB off, you should maintain your gamma performance pretty darn well. Similarly, when adjusting colors (red, green, blue, cyan, magenta, yellow), one of the things you SHOULD be looking at is color luminance. After you turn DB ON, your first measurement of each of the 6 colors will give you the target luminance for each color that you want to maintain as you make each of the 6 colors accurate. If your Red luminance was 3.36 fL, for example (with DB ON) but you need to tweak red to make it more accurate, you will want to do what you can to maintain that 3.36 fL of luminance which may mean making adjustments of multiple controls to keep your luminance at 3.36. Doing this should allow you to use DB (or Auto Iris) while not introducing odd gamma behavior as image brightness goes up or down in response to the iris or changing light levels of the LED light source at different calibration settings. You may be used to having your d65 target (x=313, y=329), but luminance determines gamma -- so when adjusting any step AFTER the DB-OFF phase of calibration, you must maintain the DB ON luminance you began with... skipping that step is how we get those strange gamma results when using DB or Auto Iris. Great report, though, for me one major positive of aspect of LED is the instant on and off feature, making a projector equal in speed to a TV and less hassle to start. We often use ours only 20 min/day, so this makes a difference. One question remains: why aren't there 2000 lumen LED home theater projectors yet?